Juvenile arthritis (JA) is not a disease in itself. Also known as pediatric rheumatic disease, JA is an umbrella term used to describe the many autoimmune and inflammatory conditions or pediatric rheumatic diseases that can develop in children under the age of 16. 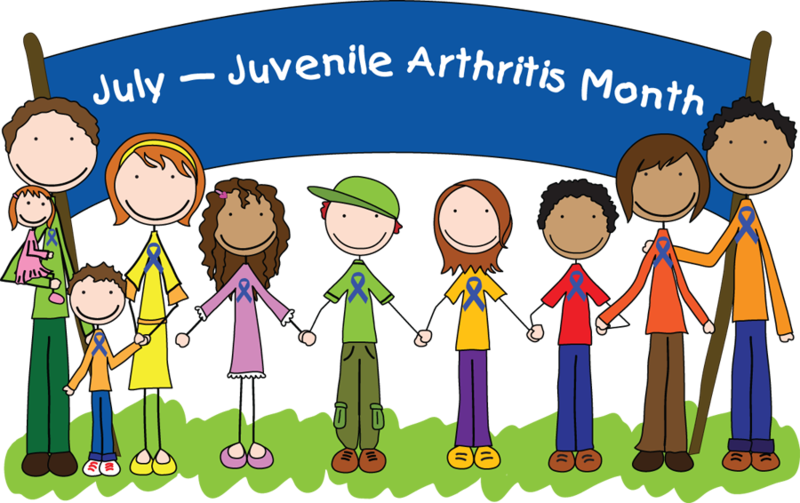 Juvenile arthritis affects nearly 300,000 children in the United States. Although the various types of juvenile arthritis share many common symptoms, like pain, joint swelling, redness and warmth, each type of JA is distinct and has its own special concerns and symptoms. Some types of juvenile arthritis affect the musculoskeletal system, but joint symptoms may be minor or nonexistent. Juvenile arthritis can also involve the eyes, skin, muscles and gastrointestinal tract. Juvenile idiopathic arthritis (JIA). Considered the most common form of arthritis, JIA includes six subtypes: oligoarthritis, polyarthritis, systemic, enthesitis-related, juvenile psoriatic arthritis or undifferentiated. Juvenile dermatomyositis. An inflammatory disease, juvenile dermatomyositis causes muscle weakness and a skin rash on the eyelids and knuckles. Juvenile lupus. Lupus is an autoimmune disease. The most common form is systemic lupus erythematosus, or SLE. Lupus can affect the joints, skin, kidneys, blood and other areas of the body. Juvenile scleroderma. Scleroderma, which literally means “hard skin,” describes a group of conditions that causes the skin to tighten and harden. Kawasaki disease. This disease causes blood-vessel inflammation that can lead to heart complications. Mixed connective tissue disease. This disease may include features of arthritis, lupus dermatomyositis and scleroderma, and is associated with very high levels of a particular antinuclear antibody called anti-RNP. Fibromyalgia. This chronic pain syndrome is an arthritis-related condition, which can cause stiffness and aching, along with fatigue, disrupted sleep and other symptoms. More common in girls, fibromyalgia is seldom diagnosed before puberty. The most important step in properly treating juvenile arthritis is getting an accurate diagnosis. The diagnostic process can be long and detailed. There is no single blood test that confirms any type of JA. In children, the key to diagnosis is a careful physical exam, along with a thorough medical history. Any specific tests a doctor may perform will depend upon the type of JA suspected. The most common types of drugs prescribed for Juvenile Arthritis are non-steroidal anti-inflammatory drugs (NSAIDs), disease-modifying anti-rheumatic drugs (DMARDs), corticosteroids, and biologic drugs. Unfortunately these drugs come with a long list of negative side effects. Here at Annie’s Apothecary we compound a prescription drug called Low Dose Naltrexone (LDN) and it is commonly requested for patients with autoimmune disorders. LDN is a wonderful alternative because it not only may help manage pain and inflammation but there are little to no negative side effects. We also offer a variety of homeopathic over the counter alternative support such as, CBD oil, curcumin (turmeric), omega’s, glucosamine and chondroitin, and essential oils. Our goal is to improve our patients conditions the most natural and non-invasive way possible.